Benzodiazepines (BZDs) are prescribed to reduce anxiety, agitation, and muscle spasms and for their sedative-hypnotic and anticonvulsant effects. Under specific conditions, BZDs escalate aggression in some individuals. Specific effects of BZDs have been linked to the α-subunit subtype composition of GABAA receptors. Point-mutated mice rendered selectively insensitive to BZDs at α1-, α2-, or α3-containing GABAA receptors were used to determine which α-subunit subtypes are necessary for BZDs to escalate aggression and social approach and to reduce fear-motivated behavior. During resident-intruder confrontations, male wild-type (WT) and point-mutated α1(H101R), α2(H101R), and α3(H126R) mice were treated with midazolam (0–1.7 mg/kg, i.p.) and evaluated for aggression in an unfamiliar environment. Separate midazolam-treated WT and point-mutated mice were assessed for social approach toward a female or investigated in a 6-day fear-potentiated startle procedure. Moderate doses of midazolam (0.3–0.56 mg/kg, i.p.) escalated aggression in WT and α3(H126R) mutants and increased social approach in WT and α1(H101R) mice. The highest dose of midazolam (1.0 mg/kg) reduced fear-potentiated startle responding. All mice were sensitive to the sedative effect of midazolam (1.7 mg/kg) except α1(H101R) mutants. 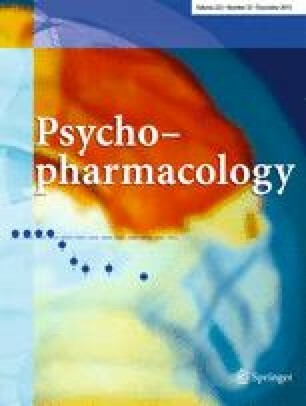 Midazolam requires BZD-sensitive α1- and α2-containing GABAA receptors in order to escalate aggression and α2- and α3-containing receptors to reduce social anxiety-like behavior. GABAA receptors containing the α1-subunit are crucial for BZD-induced sedation, while α2-containing GABAA receptors may be a shared site of action for the pro-aggressive and anxiolytic effects of BZDs. We would like to thank J. Thomas Sopko, Keisha Dodman, Darrel Gachette, Georgia Gunner, Nishani Hewage, Polly Huynh, Aida Vargas De Jesus, and Tiffany Wang for their excellent contributions. The project described was supported by Award Numbers R01AA013983 to KAM from the National Institute on Alcohol Abuse and Alcoholism and R01MH080006 to UR from the National Institute of Mental Health. The content is the sole responsibility of the authors and does not necessarily represent the official views of the National Institute on Alcohol Abuse and Alcoholism, the National Institute of Mental Health, or the National Institutes of Health.